I did not really know B.S.E., but I have known them by name a long time. This is their seventh album, so that is not so strange. 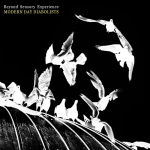 “Modern Day Diabolists” opens with a trance-ambient track, but that is not how the entire album sounds, “soundscapes” is a good description of the sound of the larger part of this album. Stretched sounds, vocal samples and here and there a more industrial-like rhythm (the very nice title track is even somewhat noisy) makes “Modern Day Diabolists” a varried ambient album. Unfortunately much of the music are somewhat soft ambient and not entirely my thing.